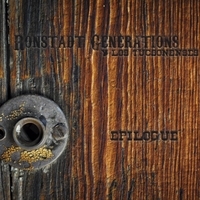 "An exceptional musician-composer, Ronstadt creates a masterful canvas with genre-blending explorations on cello and guitar in complement to thought-provoking lyrics"(Stephanie P. Ledgin, Author, Discovering Folk Music 2011). 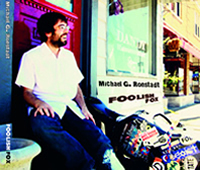 An adept multi-instrumentalist, vocalist and composer, Michael G. Ronstadt has been captivating audiences throughout North America for nearly two decades. A master at his craft, Ronstadt traverses a mélange of musical styles that range from anywhere between folk, jazz, classical, Americana and the wildly ethereal. He lends his talents to a broad range of projects, including solo work and a variety of small ensembles, as well as larger bands. 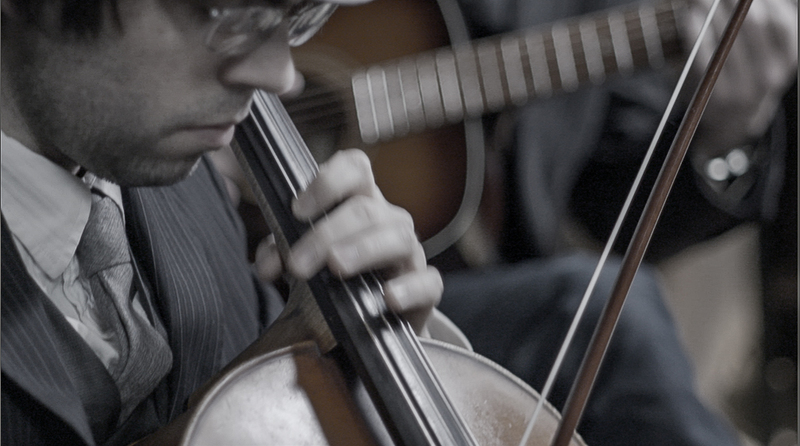 Primarily known for his prowess as a cellist, Michael G. has contributed his cello to hundreds of recordings from accomplished artists around the world. These include such names as Craig Bickhardt, Ezra Vancil, Amber Norgaard, and Zoe Mulford. 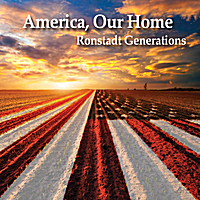 Throughout his tenure as an acclaimed musical artist in his own right, Ronstadt has also premiered several classical compositions on behalf of composers like Norway’s Bjørn Bolstad Skjelbred, as well as United States composers Conrad Kehn, Kenneth Stewart and Michael Ippolito. He has recorded over two dozen albums under his own name or in groups that he is a part of. 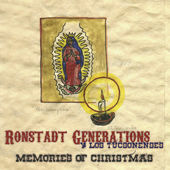 These include collaborations with his brother, Petie Ronstadt, in the Ronstadt Brothers band. Also of note is Ohio’s Serenity Fisher & the Cardboard Hearts, as well as his work as one half of the Aaron Nathans & Michael G. Ronstadt avant-folk duo. 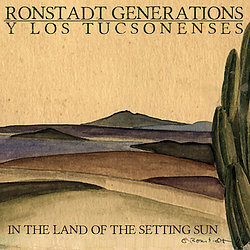 As a quintessential member of Ronstadt Brothers alongside multi-instrumentalist Petie Ronstadt and drummer Aaron Emery, Michael G. dares to twist and bend the band’s Tucson Americana sound into genre-defying new worlds. 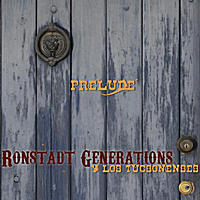 Originally founded as Ronstadt Generations by his late father Michael J., they have honed in on a familial sound with this group that has propelled them from regional acclaim in Arizona to concerts regularly held throughout the continent. Michael G.’s offbeat, contemporary vision brings the western band into places you may not expect while keeping these core family values at its center. In his work with Serenity Fisher & the Cardboard Hearts, Michael G. is able to take his unusual songwriting chops to new heights. They craft high-spirited, unconventional music that pervades the senses with euphoric dynamics. Known for his improvisational skills, he offers his cello and voice to the quintet and helps to complete their Tim Burtonesque dream pop sound-sphere. Michael G. steeps his work with Aaron Nathans in a particular blend of authenticity. Yes, the music is as brilliantly creative and out-of-the-box as one might expect, but the duo makes a concerted effort to grow their songs out of an emotional core. In their sophomore album, Hang On for the Ride, the duo has introduced an orchestral complexity to their songs. It ought to be applauded just as much as Ronstadt & Nathans’ innate knack to develop themes around their work so centered on honesty, nostalgia, empathy and wit. With Trotta, Dalton & Ronstadt, Michael G. joins accomplished singer-songwriters David Trotta and James Dalton to craft an earthen blend of acoustic rock, blues and folk. They have released three live albums since 2011, each of which have been recorded in a different venue. 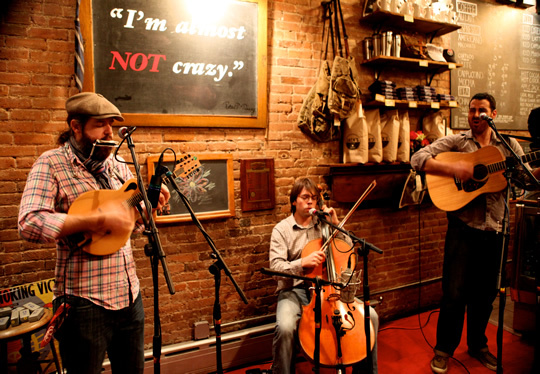 From their debut LP 3.30.11 on through Clown Cars and Canyons, recorded in NYC and Tucson, and the Philadelphia-based Salted Butter, the trio is sure to captivate you with their harmonious sound and high energy. Michael G. received both his bachelor and master in Cello Performance, studying under the tutelage of Nancy Green, Gordon Epperson, Nelzimar Neves, and Yehuda Hanani. When he isn’t performing 250+ national and international shows a year, or contributing his highly sought-after cello to artists’ work as a studio musician, Michael G. teaches cello improvisation workshops internationally, from New York City to Glasgow. Co-founder of Shaken Earth Media, alongside composer Kenneth Stewart (Dr. Ken). The label specializes in releasing instrumental music featuring outstanding current composers who cover an array of genres and styles. Shaken Earth, Vol. I features Michael G.’s own composition for the soundtrack of the documentary From War to Wisdom by Josh Hisle and Dan Collins. 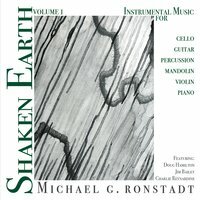 Shaken Earth, Vol. II showcases compositions crafted by the modern classical composer Dr. Jamie Keesecker. Finally, Michael G. has opened for a potpourri of accomplished artists, including David Bromberg, Murial Anderson, Jimmy Webb, Ruthie Foster, Jorma Kaukonen and The Burns Sisters. He was also lucky enough to play cello in concert in support of his aunt Linda three times before she retired from singing. In whatever iteration you might be able to see Michael G. Ronstadt live, you will not be disappointed by the spectacle of his consummate, unconventional and inspiring work. Trotta & Ronstadt bring a fresh blend of rock, blues and folk to the acoustic scene, playing festivals and waking up tired coffee houses. They have released three live albums since 2011, “3.30.11” a live recording and debut release for the group; “Clown Cars and Canyons”, the follow-up album recorded both in Tucson and NYC; “Salted Butter,” live in Philadelphia at Sine and Morningstar Studios. Both David Trotta (guitar) and Michael Ronstadt (cello) are experienced solo artists, but began touring together 6 years ago. They are joined by James Dalton on harmonica, mandolin and voice, rounding out the trio. The group has played the Escape to New York Music Festival alongside Patti Smith and Edward Sharpe, the Old Capital Arts Festival three times, and toured in Nevada as well as all over the NE seaboard. Serenity Fisher and the Cardboard Hearts blend playful pop-rock with a Tim Burton-esque quirkiness. A wordsmith, Serenity Fisher entices stories into becoming songs using truth-telling, highly-visual lyrics, and dreamy melodies. Fisher is a powerhouse singer whose nuanced vocals vary from bluesy belt to sultry whisper, from technical prowess to stripped down raw emotion. Her piano style is theatrical and passionate. Her music has been compared to Regina Spektor, Tori Amos and Fiona Apple. 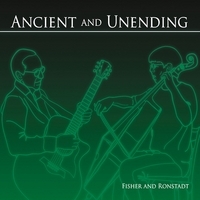 Cellist Michael G. Ronstadt, nephew of Queen of Rock Linda Ronstadt, holds a masters degree in cello performance from the University of Cincinnati’s College Conservatory of Music (CCM). Ronstadt brings a rich musical heritage and absolute knack for improvising up a storm. Violinist Rose Reidmiller Gowda, a childhood friend of Fisher (her mother was Fisher’s piano teacher), also has a master’s degree from CCM. She has a flair for creative improvisation and for exploring dark and light tones. 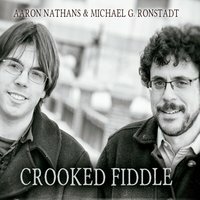 Ronstadt and Reidmiller Gowda create a mesmerizing string section through rich tone and pure energy, displaying genre-blending explorations through a command of classical and exotic string sounds. Bobby Fisher on guitars, mandolin and ukulele, provides tasteful ambient swirls as well as old school face melting solos. A world-renowned guitar virtuoso, Fisher got his start in Coyote, a popular country-rock band that regularly sold out legendary Cincinnati music establishment Bogart’s in the 70’s and 80’s. Most recently, his illustrious career has seen performances at Carnegie Hall and Lucas Oil Stadium for hundreds of thousands of fans. He continues to pass on his musical wizardry to daughter Serenity Fisher. Rounding out the sound with drums and percussion is ethnomusicologist Matt Halvorson. His eclectic setup includes a vast array of instruments from Brazil, Pakistan, Peru, Morocco and Spain as well as household gadgets such as brooms and keys. A diamond in the rough, Halvorson tastefully drives the music with thoughtful dynamics and creative rhythms. 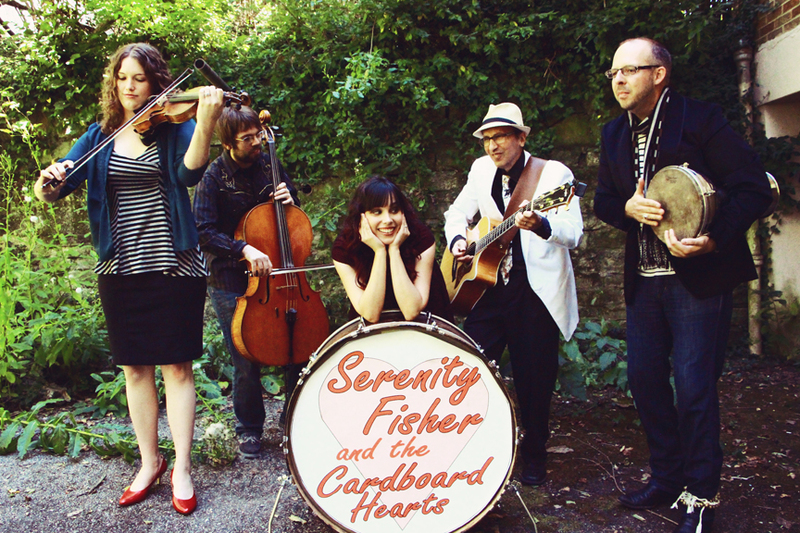 Serenity Fisher and the Cardboard Hearts make music that delights the ear, weaving timeless sounds with irreverent, collective, unabashed all round good-time-having. Performing together for the last six years has created a dynamic, truly moving, and expressive duet. Between both songwriters, their material is diverse and reaches far. Serenity Fisher blends playful pop-rock with a Tim Burton-esque quirkiness. A wordsmith, Serenity Fisher entices stories into becoming songs using truth-telling, highly-visual lyrics, and dreamy melodies. Fisher is a powerhouse singer whose nuanced vocals vary from bluesy belt to sultry whisper, from technical prowess to stripped down raw emotion. Her piano style is theatrical and passionate. Her music has been compared to Regina Spektor, Tori Amos and Fiona Apple. Nephew of Linda Ronstadt, cellist Michael G. Ronstadt brings a rich musical heritage and absolute knack for improvising up a storm. He holds a masters degree in cello performance from the University of Cincinnati’s College Conservatory of Music (CCM). 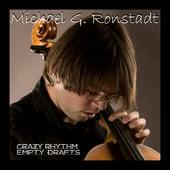 Michael G. displays genre-blending explorations on cello and guitar in complement to thought-provoking lyrics. To say his originals are unusual is an understatement. They set the bar at Olympian heights in their depth and breadth. In addition to his solo recordings and those with Ronstadt Generations, Michael G. is a much sought-after studio musician, who has appeared on more than 100 albums in the last fifteen years.